sound installation for voices, 6 channels, 2016. 7 panels hanging panels 120x120cm with anechoic foam and steel, software, microphone, score, dimensions variable. Pan Rhema, literally “all uttered words” or “to say everything” is the etymological root for parrhesia that is summarised by Foucault as “to speak with parrhesia, without holding back at anything without concealing anything.” This concept which resonates with the technique of the self in the ability to say the truth about oneself or others as a risk taking event, as well in a broader context of the crisis of the democratic institutions. 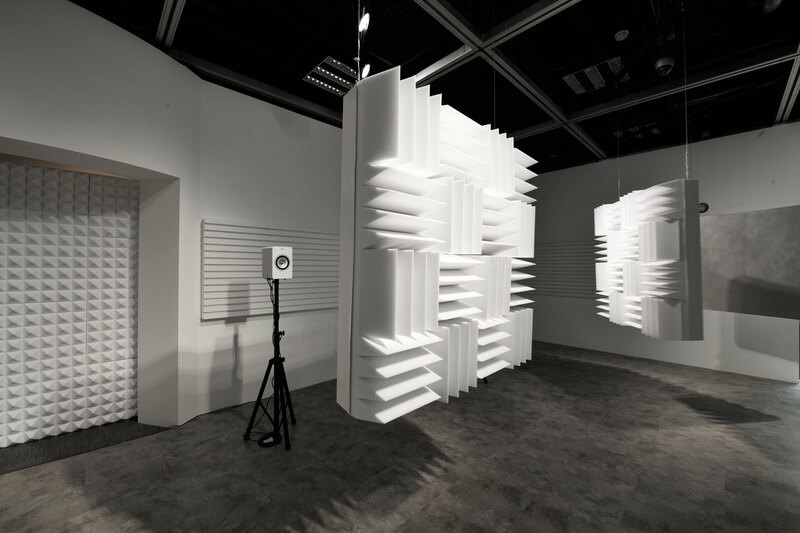 The installation plays with the tensions between revealing and concealing or distorting through the physical set up of the installation with the anechoic and reflective panels. They also shape the acoustic space and forms a possible path to listen. 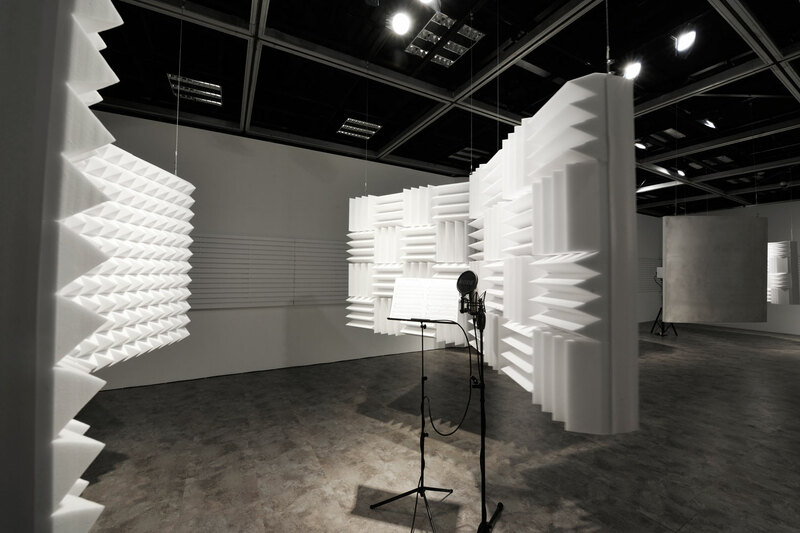 A simple apparatus is set so that one can record his/her own voice that is voiced out in various forms in the installation and create the sound for the installation.